We here at AirshowStuff.com think you’ll agree that few things sound better than the radial engine of a classic warbird. Unless, of course, it’s SIX radial engines! 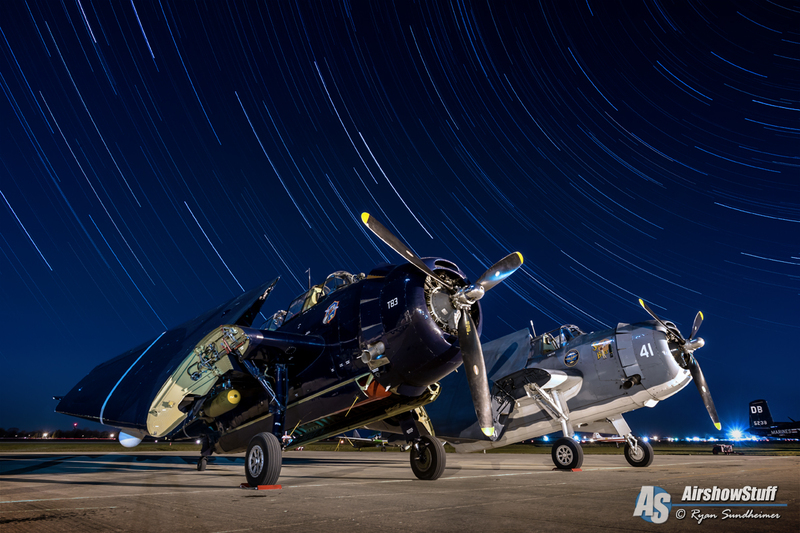 In 2016, the Illinois Regional Valley airport in Peru, IL hosted their first TBM Avenger Gathering where ten TBM Avengers (along with many other classic warbirds) met for an unforgettable weekend showcasing this legend of World War II. Affectionately nicknamed “The Turkey” for its large size, the Avenger was designed as a torpedo bomber and saw action in the Pacific theater. Avengers were even piloted by such famous people as former President George H. W. Bush and movie star Paul Newman! From taxi to landing, you get a cockpit view from one of the immaculately-restored Avengers taking part in a formation flight at dusk. The golden glow of the sunset, along with the six other Avengers, makes for some spectacular scenery. 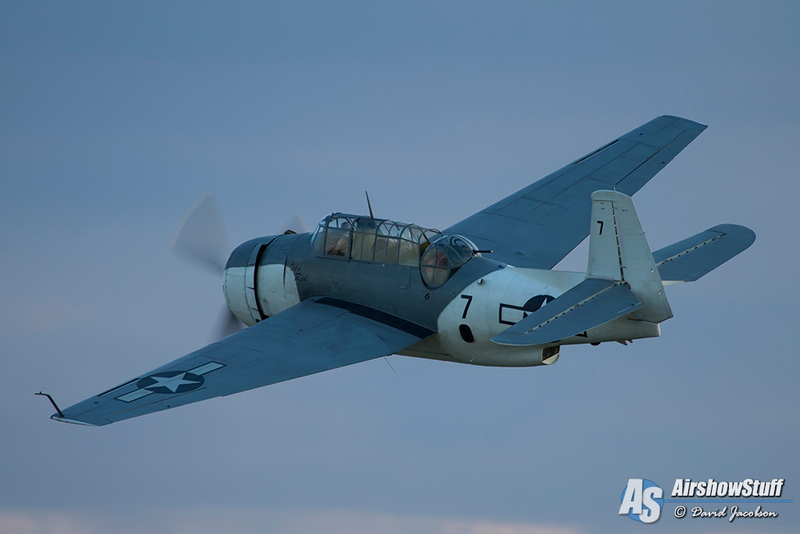 You’ll see various formations being flown, and even get a glimpse of a T-6 Texan photo ship capturing the action as well. The sound of the radial engine’s throaty roar takes you back to when these large aircraft patrolled the skies, looking for Japanese ships. So sit back, relax, and enjoy this thrilling video and all it has to offer, you won’t be disappointed! Be sure to browse the AirshowStuffVideos channel on YouTube for more great videos.